Are you thinking of moving to Australia from UK? Here you will find all you need: How to migrate to OZ?, moving checklist, information about visa requirements, criteria for getting a work, advice on Australian customs, help with moving goods, pets, finding a job, Australian forum. Do you have a question you would like to ask? Would you like to share your relocation experience with other people to help them out to make right decisions? You can do it right here! Start your own thread or browse through most common questions. Please contact us with any question you may have! We will be happy to assist you with your decision making and advise you on most issues! Before you decide to leave your home country and move to Australia from the UK for good there are a few things you should know and a couple of things you could do to make sure you are making the right decision and you are ready to start a new life in OZ. Our website provides a number of good tips about what you should do before you leave the UK and about what you have to do when you arrive in OZ. Am I going to miss my parents, aunts, uncles and other relatives? Am I going to miss my old friends? Am I going to move to Sydney, Perth, shipping to Melbourne...? Please note that you will not be able to visit the UK every time you feel bad. It takes a lot of time and money to travel there and back. It will not be always possible to get time off work and if you are relocating with your husband and children it will be difficult to take all of them with you too. And finally haw are you going to relocate to Australia from United Kingdom your car and other goods. Next thing that you need to take into account are shipping costs. At this stage you probably have no idea what is involved and how much work and preparation it will take. Are you going to miss your family and friends? - not each person you know will relocate with you. How will you cope with it? Are you making friends quite easy? Do you have enough money to cover all relocation costs? - transferring your money, booking a cheap flight tickets to Australia, new house, time without a job, insurance. Do you qualify to get a visa? Are you ready for the climate change? - the weather in Australia can be too hot and to dry for Brits moving to OZ from United Kingdom. And what about all the spiders, scorpions and venomous snakes? Australian culture - are you ready to tolerate other religions, point of views. People in down there are very open minded. You need to open yourself to all new thing that your new home country can offer. Do you know how to move to Australia? If you are moving to Australia you have made the right choice. It is one of most desired countries to live in. 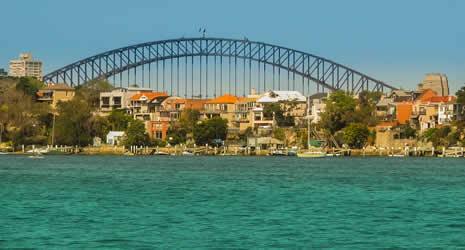 Australia is almost always mentioned as one of the top destinations in the world with the best living conditions. However a large number of immigrants who choose Australia as a new home is moving there not only due to the highly developed economy, plenty of good paid jobs and always happy people but also due to the weather. 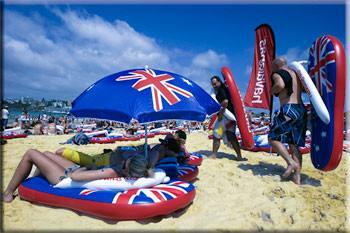 Australian warm and sunny climate means a lot for many immigrants from Europe, particularly for the British and Irish. 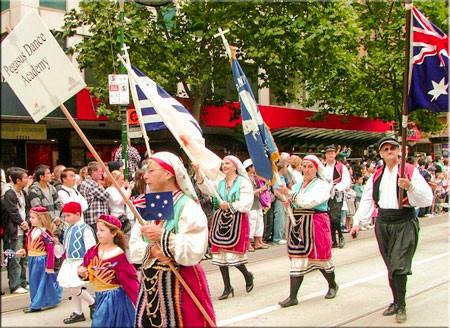 For them, Australia is not the direction of "bread", but more of a new way of life ("life style"). Moving to Australia from the UK is not just an unattainable dream, more and more British families simply pack all their belongings and relocate. How to move to Australia from UK? The geographical position of Australia and its clear course of political leadership put the country in front of others, even in comparison with most developed super powers like China or USA. The relative isolation of the island-continent, and the distance from the "neighbours" made it impossible to get involved in any conflicts with surrounding lands. Above all its location leads to a complete absence of external threats. Beautiful landscapes, amazing creatures, nice people, hot weather, worm and clean water allow you to relax every time you need it. Stable economy, which has been built by immigrants particularly after World War II, and the availability of rich natural resources have led to the emergence and development of a stable civil society, in which characterize almost no sense of social tension. This is largely achieved by the fact that migrants in a short time become a part of Australia, accepting the country as a new home. Precisely the factors of stability and predictability of the society and economy in the country allows assessing the quality of life in Australia as one of the best. Recent bloody developments in Norway, riots in the UK, War in North Africa, the constant religious and ethnic conflicts throughout Europe and Asia suggest that wealthy European countries in the past are no longer able to guarantee the expected quality of life. Europeans' views on remote OZ are becoming more closely, as the country that allows its residents to feel comfortable and really safe. 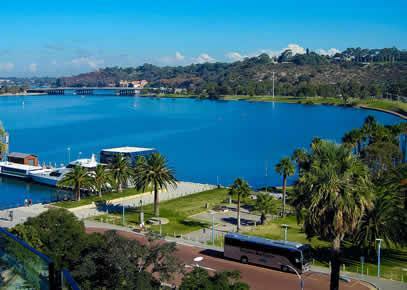 You can visit the following page if you are moving to Perth from UK. In addition to this it provides endless opportunities for travelling and research thanks its unique nature and climate. It is said that Australia is the only remaining place on the planet having all the factors needed to run an interesting and high quality live simultaneously. Even such highly developed countries like the U.S. and Canada, do not have such a capability. If you do not know where to start you can begin with working out the budget figures. 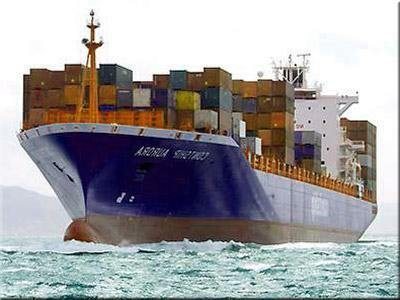 Get free estimate for shipping full or part load container. We would also love to hear from you what are you reasons for moving? We could add your clues onto our website. Society based on expatriates from all over the world, absorb and assimilate the newly arriving immigrants, blur the differences between ethnic groups, thereby preventing them from conflicts on national, religious, ethnic or racial backgrounds. Various minorities feel Australia is quite calm and tolerant, although they continue to seek even more privileges. Here, no one will look askance at you because you speak a different language or you have a dark skin tone. The true is, if you will respect the customs and laws of the country that you are planning to move to you will be treated as you were born there. Anywhere in the world the emigrants are not welcomed but in Australia you will respected. Read more: The living costs in Australia can be a bit more higher. If we consider all possible factors, we can confidently assert that at the moment Australia ranks first among all countries in the world for the high quality of life. Comfortable climate with a wide range of climatic zones, high wages, relatively low housing costs and social conditions make the country attractive for immigration. However, in this respect Australia has a quite clear policy for new inhabitants. Specially designed program makes sure that the right people are allowed to come to the country. The rules and conditions of immigration law are constantly revised to meet the needs of economy. What is your opinion based on experience, what you saw, where you were, etc. To which country in the world (excluding Europe) it would be worth moving to in order to escape from the wild pursuit of money, electronic equipment, better car, etc. It’s not about to live in a hut in the rainforest but to live peacefully in a beautiful and friendly country. "I am thinking to move to Australia but still have not made up my mind" - People are looking for good tips and advice. Can you help? Share your thoughts on how to move to Australia and what is the best practise to do it smoothly. Do you know any reliable movers to Australia? What moving criteria and requirements have to be met to migrate to OZ? How easy is emigrating to Australia? Is it easy, cheap or expensive? How to move to Australia? I think you can certainly consider Moving to Australia – Perth or Sydney, Newcastle, Canberra, Victoria, New South Wales etc..
All above are just a few questions of many that people would like to find some answers to. If you would like to share with us your knowledge that you have acquired based on your own move we will be happy to hear from you. Your story or advice will be published on our FAQ page. Drop us a quick email! There are a lot of people searching for answers like: How to go about moving to Australia from UK?, What do I need to do if I wanted to move?, How much does it cost? Information received from you can be important to others that want to move to Australia so contact us with your story. Find out a great idea to tour Australia cheap - relocation deals! Can I move to Australia on my own if I am under 18 years and how long does it take? Should I move or not? Pros and cons on moving for a year. How do you move goods, furniture and personal belongings? What do I need to move with family? Mowing with children, how to go about it? Could I move and why? Is moving to Melbourne a good decision? how much to move to Australia from UK? - moving cost will depend on many different factors please give us a call for a free estimate. how do i go about moving to Australia, what do I need to do first. Can you provide a moving guide, step by step book on emigrating procedures? Am I eligible to move to Australia? Please help me with moving, getting a visa. What documents do I need and how fill them out? Is moving a house a cheap thing to do? How is working in OZ? Do I need a special visa? Where should I go to get some information. Are there any good relocation agents you could recommend? I am also interested in international removals, who should I use to move safely? How to plan and organize the whole process? What do I need to move? Where can I find some information, tips and advise? Is it worth moving to Australia? how do you go about moving and emigrating from the UK? We hope you have found on our website everything you needed to know about moving to Australia from the UK. If not please let us know what topics you would like us to cover. We will be happy to receive your feedback and write more useful articles.